We are extremely selective when it comes to our team, so when we bring someone new on, it means that we’re particularly excited. Without further ado, please help us warmly welcome Sherry Citron to the tribe as our Group Director of Accounts! With a robust 13 years of experience in Social Media under her belt, we are absolutely thrilled to add her as a huge asset to Social Tribe. Originally hailing from New York and now residing in Los Angeles, Sherry merged a rich background in photography and art to begin work as a Community Manager in the early stages of social media on the ground floor. From there she was given the opportunity to join a Social Media agency as an Account Executive and worked her way up through Client Service as Account Manager, Senior Account Manager, and Account Director. As Sherry climbed the social media industry ladder, she fell in love with client service and the people aspect of the job. Some past clients that she served have included SAP, T-Mobile, Toyota, and Disney. As she dove deeper into the industry, client service became her true specialty. She loves the constant, ever-changing nature of social media and the aspect of connection that is at its core. For Sherry, the industry has been a perfect professional fit, and it shines through in her past work. 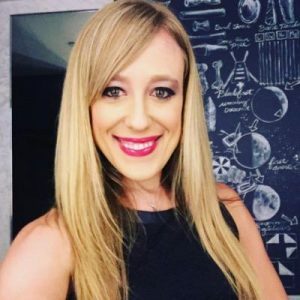 Here at Social Tribe, she’ll be diving headfirst into our existing programs to help us identify ways to better uplevel and serve these long-standing accounts, as well as grow our up-and-coming relationships. We are so looking forward to the fresh insight and support that she will bring to the table. Help us welcome her in by giving her a follow on Instagram or connecting on LinkedIn!